Since the introduction of league football, most club sides play a number of friendlies before the start of each season (called pre-season friendlies). Friendly football matches are considered to be non-competitive and are only used to "warm up" players for a new season/competitive match. There is generally nothing competitive at stake and some rules may be changed or experimented with (such as unlimited substitutions, which allow teams to play younger, less experienced, players, and no cards). Although most friendlies are simply one-off matches arranged by the clubs themselves, in which a certain amount is paid by the challenger club to the incumbent club, some teams do compete in short tournaments, such as the Emirates Cup, Teresa Herrera Trophy and the Amsterdam Tournament. Although these events may involve sponsorship deals and the awarding of a trophy and may even be broadcast on television, there is little prestige attached to them. 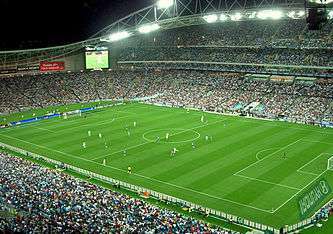 Frequently such games take place between a large club and small clubs that play nearby, such as those between Newcastle United and Gateshead. Exhibition fights were once common in boxing. Jack Dempsey fought many exhibition bouts after retiring. Joe Louis fought a charity fight on his rematch with Buddy Baer, but this was not considered an exhibition as it was for Louis' world Heavyweight title. Muhammad Ali fought many exhibitions, including one with Lyle Alzado. In more modern times, Mike Tyson, Julio Cesar Chavez Sr. and Jorge Castro have been involved in exhibition fights. National Basketball Association teams play eight preseason games per year. Today, NBA teams almost always play each other in the preseason, but often at neutral sites within their market areas in order to allow those who can't usually make a trip to a home team's arena during the regular season to see a game close to home; for instance the Minnesota Timberwolves will play games in arenas in North Dakota and South Dakota, while the Phoenix Suns schedule one exhibition game outdoors at Indian Wells Tennis Garden in Indian Wells, California yearly, the only such instance an NBA game takes place in an outdoor venue. Exhibition games have been also been held on occasion outside the U.S. and Canada. Women's National Basketball Association teams play up to three preseasons games per year. WNBA plays will play each other and will also play women's national basketball teams. Most years, the WNBA also stages an All-Star Game, but this game is cancelled if pre-emptied by major international competitions such as the Olympic Games. High school football teams frequently participate in controlled scrimmages with other teams during preseason practice, but full exhibition games are rare because of league rules and concerns about finances, travel and player injuries, along with enrollments not being registered until the early part of August in most school districts under the traditional September–June academic term. Some states hold pre-season events known as "jamborees" in which several pairs of high school football squads take turns playing one half (usually 24 minutes of game time) to give players some experience before the first official game. Another high school football exhibition contest is the all-star game, which usually brings together top players from a region. These games are typically played by graduating seniors after the regular season or in the summer. Many of these games, which include the U.S. Army All-American Bowl and Under Armour All-America Game, are used as showcases for players to be seen by colleges and increase their college recruiting profile. During the amateur era, there were no rugby union competitions between national teams. Therefore matches between national teams are never considered "exhibitions", as they always have Test match status. However, test matches held before the Rugby World Cup are considered warmup matches. ↑ Zawadzki, Edward (2001). The Ultimate Canadian Sports Trivia Book , Volume 1. Canada: Dundurn Press. p. 216. ISBN 9780888822376. ↑ Levin, Josh (3 December 2004). "Crossed Off - They're God's favorite basketball team…of course nobody wants to play them". Slate. Retrieved 30 May 2011.